A Kentucky native, Joe Woodard started hot walking horses in high school, but he never intended to make them a lifetime career. While he attended the University of Louisville, working towards a degree in criminal justice, Woodard ultimately decided to try his hand at training—just a few horses at a small stable. He started out small by purchasing some claiming horses with a few friends and in small partnerships. His early successes with these horses convinced Woodard that he could make Thoroughbred racing his fulltime career, and in 1992 he received his professional trainer’s license. Making his way primarily by training claiming horses, Woodard has worked at tracks all over the country. He’s been stabled at Cook’s Training Center in Indiana, the Lexington Training Center in Lexington, Kentucky, Turfway Park in Florence, Kentucky, Tampa Bay Downs in Tampa, Florida and in 2004 he opened a public stable, now centered at Churchill Downs in Louisville, Kentucky. A modest, down-to-earth man with a working trainer’s attitude, Woodard made some carefully considered changes with his horses in the spring of 2005 and caught the eye of many racing enthusiasts when he won a record-breaking ten consecutive races at Churchill Downs. The previous record was eight consecutive wins, set by Patrick Byrne in 1997. In order to keep his horses in winning shape Woodard meticulously reviews every aspect of their care—from their workout schedules to their feed. Woodard purchased Quick Blend—the horse that would eventually help him create his record-breaking winning streak at Churchill Downs—at a sale as a two-year old. He had problems with the horse early on. Quick Blend was uncomfortable after workouts and overall the horse wasn’t as bright as Woodard had hoped. 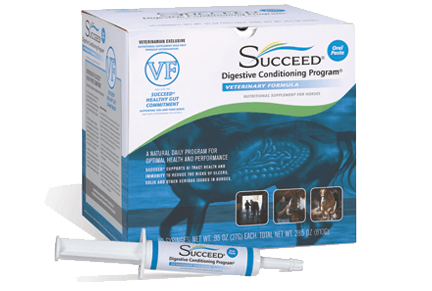 Woodard’s veterinarian recommended that the trainer try a new product with Quick Blend—SUCCEED® Digestive Conditioning Program®. 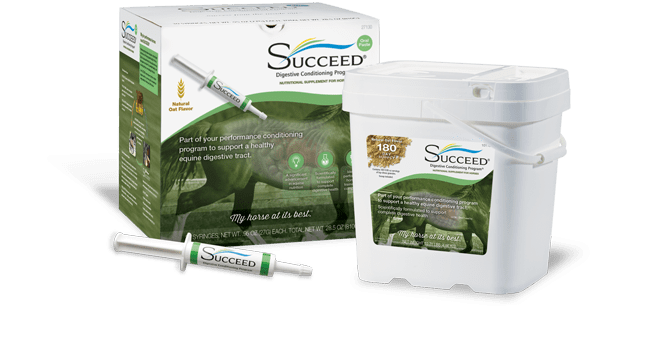 After Quick Blend’s results with SUCCEED, Woodard decided to take a close look at what he was feeding all his horses—part of his routine to make sure each one is receiving top care. One of the changes he made in the spring of 2005, before his ten-race winning streak, was to put all the horses in his stable on SUCCEED. SUCCEED has been an important part of Woodard’s success in claiming races. He reports that his horses have great appetites, excellent attitudes and are working to their potentials.